Perhaps the most valuable resource we possess is the high number of satisfied customers. Happy customers are not easy to come by and hold onto as this requires proper company policies and their adequate application. A company which values its customers and listens to what they need and want will be a successful one. Working with satisfied former and current clientele is one of the most important aspects of company development and forward moving. It is vital for a company to earn the trust of its customers. Earning someone’s trust is easier said than done, but we at Cleaners Kensington are doing our best and results speak for themselves. The constant level of high quality results, moderate pricing and friendly and sensible customer service are all good ways to earn their trust. 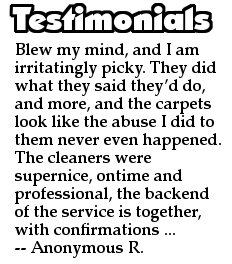 A company has to keep up the good work so to speak because a single slip is sometimes enough to tip the scales the other way and cause customers to look for cleaning services elsewhere, which is unacceptable in this highly competitive industry where every customer is valuable and should not be lost to chance. One sure way to keep customers happy and asking for more is to provide a good mix of quality and price. The quality should reflect the price and vice versa, failing to deliver a proper blend of the two will discourage a customer from using the company in future, especially when talking about highly technical domestic services such as on-the-spot dry cleaning or upholstery cleaning. 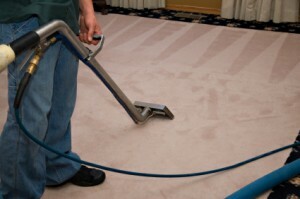 To give an example of what good domestic service really means, take a look at the carpet cleaning service we at Cleaners Kensington, provide, our customers have more than once suggested we offer the best priced carpet cleaning in Kensington and the high quality results speak for themselves. Our cleaners are always well prepared and ready for the task, the level of expertise and technical knowledge of the technicians ensures proper handling of the fabrics and materials. Keeping the risk of damage to fabrics or materials to a minimum is also very important for earning customer trust, this is achieved through proper work training and the right attitude displayed on behalf of the cleaning technicians.